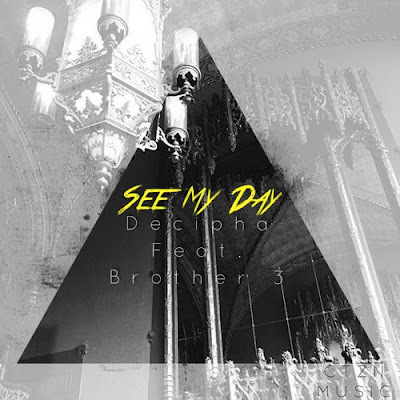 Decipha; a founding member of the CTZN Collective and one of the fastest rappers in CHH is back after a 5 year year hiatus. "See My Day" is a quick paced, rapid fire delivery with an intense and hopeful message. The single is available at iTunes and free, exclusively via Bandcamp. Jesus said in John 8:56 "...Your father Abraham rejoiced that he would see my day." The Jews were confused as to how someone like Him, Jesus of Nazareth could speak of a Patriarch as if He knows him, as if Abraham served Him. In other words Jesus claims that He is the one Abraham speaks of, that He is the promised Messiah sent from God. But Jesus also does something more for the Jews and for us reading, He claims to be God, the one men and women long for...He uses the biggest celebrity he can think of for the Jews to understand that those who follow Christ look forward to a greater savior, and greater leader, someone NOT of this earth. Jesus the second in the trinity. The Godhead. We now rejoice in this life as CTZN's to see the day of our lord, we long to see Him glorified in this life, but we patiently and pace for the day we can see Him high and lifted up and every knee bowing to Him. We look forwardDe to See His Day.